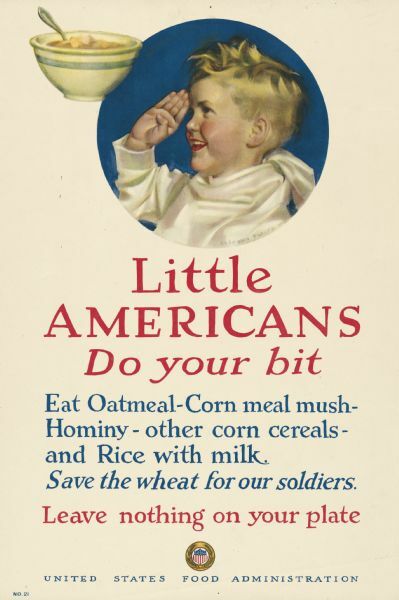 "Little Americans Do Your Bit"
United States Food Administration World War I poster encouraging children to conserve wheat for soldiers and not to waste food. There is an image of a young boy saluting and a bowl of hot cereal at the top of the poster. The USFA logo is at the bottom of the image.